We received an email last night from a reader in distress. He had updated his Nexus 7 (2012) to Android 4.4, and was saddened by the changes he didn’t see after installing the newest version of the OS. Given that there are probably a few people who will run into the same issue, we wanted to quickly go over what some device owners can expect not to see when updating their devices to Kit Kat. Google has already stated that one of the features (the Experience launcher) found on the Nexus 5 is purely a device exclusive, but as other devices – such as the Moto X – are receiving Kit Kat, more feature dismissals are being noticed. Shortly after the launch of Kit Kat, Google announced that the Google Experience Launcher found on the Nexus 5 would be a device exclusive. What that means is that no other device will have the same exact experience as N5 owners, such as the swipe left for Google Now, “Ok Google” voice command from the homescreen, new UI for editing your homescreens, the fullscreen wallpaper chooser UI, separate section for widgets, and other misc. tweaks. If you install Android 4.4 on a Moto X, Nexus 4 or Nexus 7, you can expect to see essentially the same launcher that comes with Jelly Bean. Your widgets are accessed through the app drawer, you will long press a homescreen to access your wallpaper choose, etc. Now, if you want the same experience that Nexus 5 owners have, you can do so by seeing this post here. After Google updated the Search app to 3.1.8, anyone that installs the launcher found on the Nexus 5 can have the same experience as Nexus 5 owners. 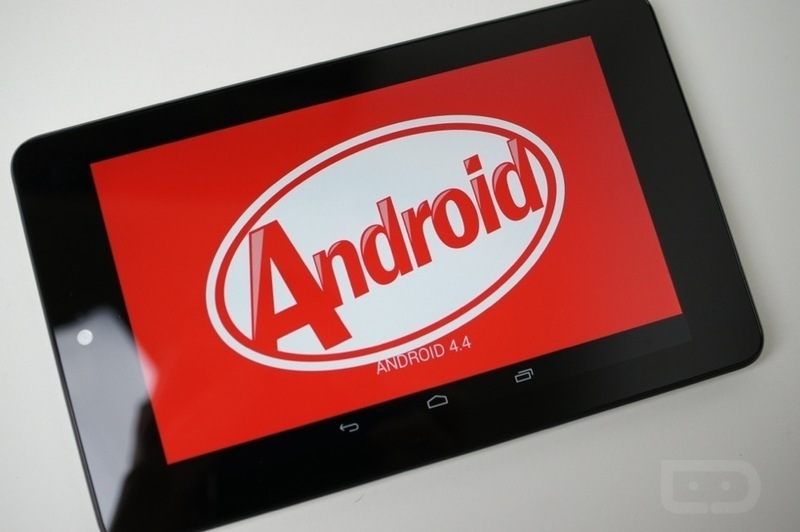 Google decided for whatever reason that Nexus tablets and the Nexus 4 running Android 4.4 will not have translucent navigation and notification bars. Why this decision was made, we don’t know right off. Although, if you install the update on a phone such as Moto X, the translucent bars are enabled. This UI tweak has been one of our favorite changes about Kit Kat, so we have been bummed that Google opted to leave it out on tablets. 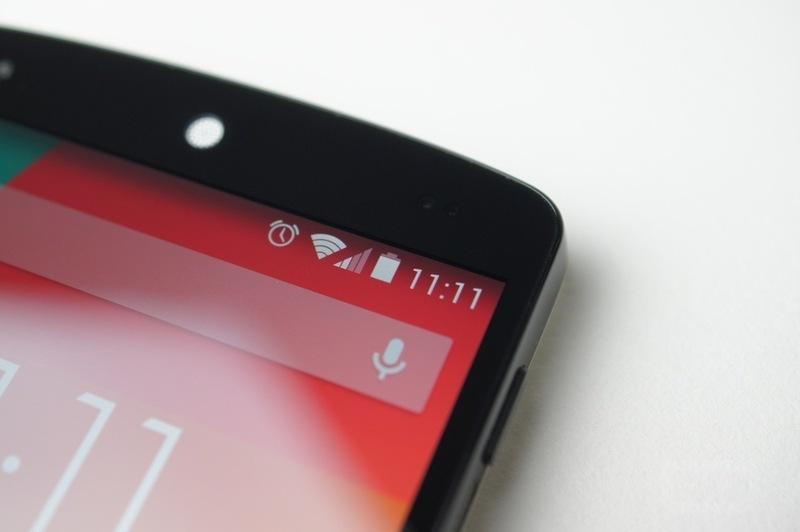 Moto X owners updating to Kit Kat have noticed the absence of Google’s Smart Dialer when making and receiving calls. When making a call on a Nexus 5, you can perform a search for a local business right through the dialer and then place a call. In addition, the device will then save that number so in case they call back, it wont be from a random number; it will display the business’ name on the Caller ID. It’s a fancy feature, and it’s possible that a future update could enable it, but don’t expect to see it if you update your Moto X. Almost all installers of Kit Kat will have access to a new Tap & Pay settings menu on their devices. If you do not see it under your Settings, you will only need to make sure you are running the latest version of Google Wallet and have NFC enabled under settings. If you need it, we have download links on our post here. From what we have seen on our Nexus 7 2012 devices, even after installing the newest Google Wallet, the Tap & Pay setting is still not listed. The Tap & Pay setting allows users to dictate which NFC-powered payment system they want to use. For most of us, only Google Wallet will be visible until other app makers, such as ISIS, update their apps. If there is anything else that recent updaters to Kit Kat have noticed “missing,” feel free to throw it down below.